It's finally time to pre-order the Jitney's Journeys Agenda for 2017!! So many of you loved everything about the 2016 Agenda that we decided to keep everything pretty much the same. We've introduced all of the changes at the bottom of the post. For the newbies, keep scrolling for detailed summaries and photos of the 2017 Agenda!!! 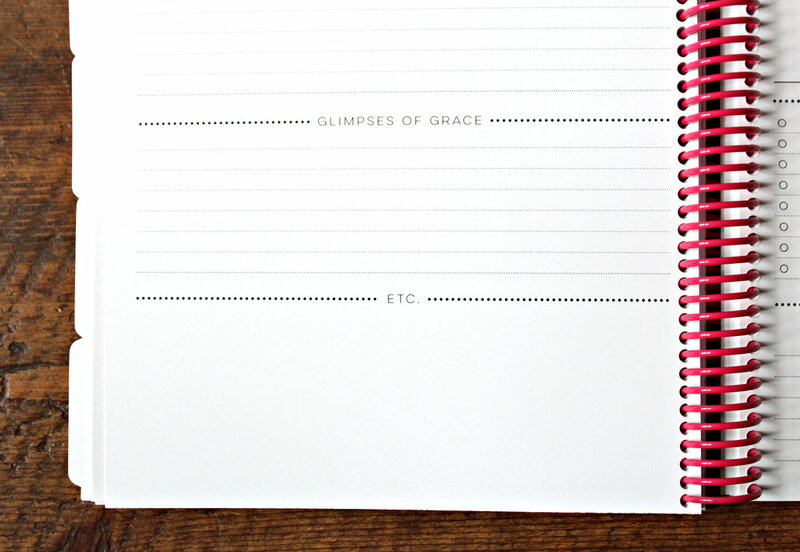 One notable new addition for the year... You will receive a free 5 x 7 scripture print with each Agenda purchase! Yay!! 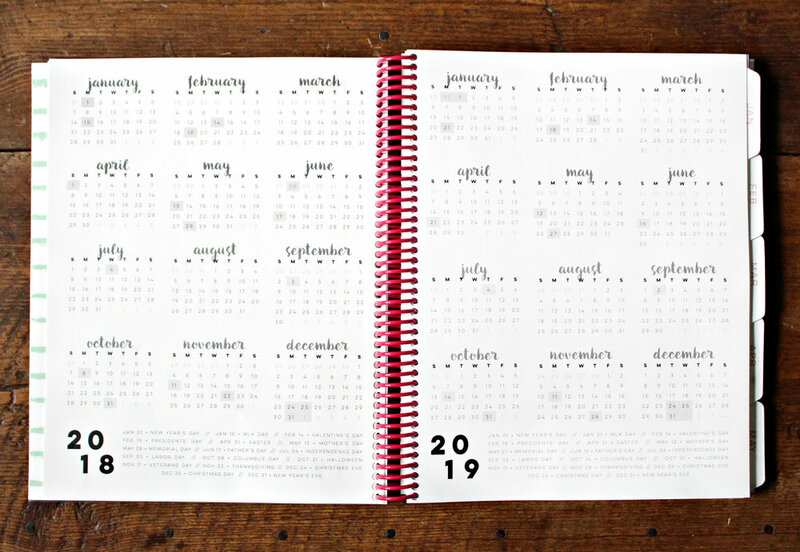 Plan each day beautifully and thoroughly with the 176-page planner (88 front and back), bound with a gorgeous magenta spiral binding and featuring a list of nationally recognized holidays, weekly layouts, monthly layouts, an annual layout, scripture memory, goal planning and a section for brainstorming and notes in the back. Measuring 9" x 11", this agenda will fit perfectly in a large purse or will look real pretty sitting on top of your desk. 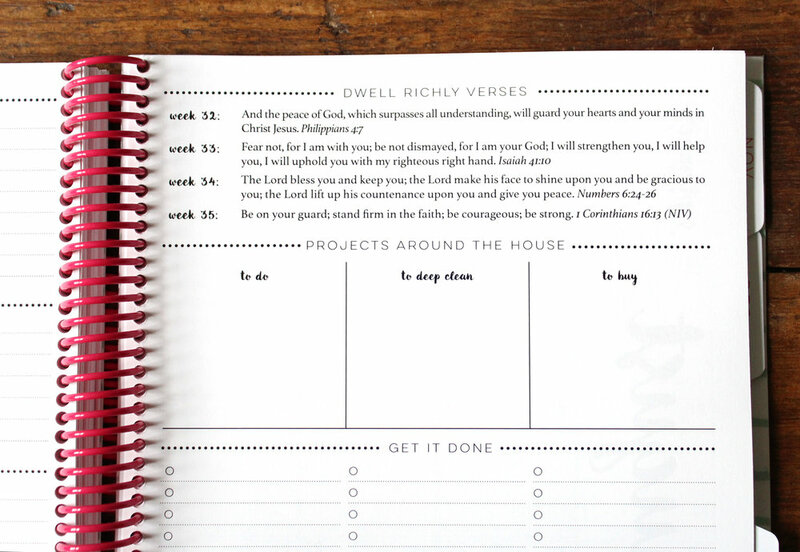 Last year's Dwell Richly scripture memory resource was a huge hit! God used His word in amazing ways to transform hearts and minds (including my own!!). It was such a joy to hear all about the ways our Father timed certain verses perfectly to fit with what was going on in your lives. We believe He will continue to do great things through the Dwell Richly verses. While the compilation is typically a group effort among many of our closest friends, we decided to change it up this year. In April of 2016, our daughter was diagnosed with Craniosynostosis at four weeks old. Eight weeks later, she was admitted to the hospital for craniofacial reconstructive surgery. The Lord, as always, was incredibly faithful. He was our shield and lifted our heads high. Coupled with the peace He gave us, we were astounded by the support and encouragement from our community. This year’s Dwell Richly resource is an accumulation of scripture friends and family sent us. It is our prayer that you will cling to God’s Word in all circumstances, and that you will encourage others with it as well. Each verse is included in every weekly and monthly layout. We will also offer the resource in a PDF format like we did last year. Thank you to all of the ones that helped to make it happen!! You asked for them and you got them! Each agenda features large, lovely tabs setting apart each month. Not only that, but there is a seasonal watercolor floral bouquet coupled with a clean monthly calendar on each main tab page. Are you drooling yet? The opposite page is a primarily blank page just waiting for you to fill it with notes, journaling, brainstorming, and all kinds of awesomeness! You can use this page to begin the next month or use it to finalize the previous month. I plan on filling this page with lots of ideas (no matter how great or not-so-great they are), doodles and beauty. What will you fill the page with? List out your top goals for the month (personal, spiritual, relational, physical, you name it! 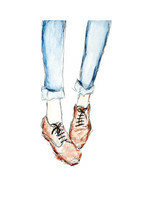 ), exciting things happening this month (big and small - any and every reason to celebrate! ), and glimpses of grace (one of my favorite and much-needed sections). Use the etc. space for any brainstorming, illustrating or note-taking. The second page of this spread includes the month's Dwell Richly verses for you to memorize (each week is also written on the weekly layouts); a place to list out projects around the house that need to be done, deep cleaned or bought (think curtains, pillows, new fixtures, etc. 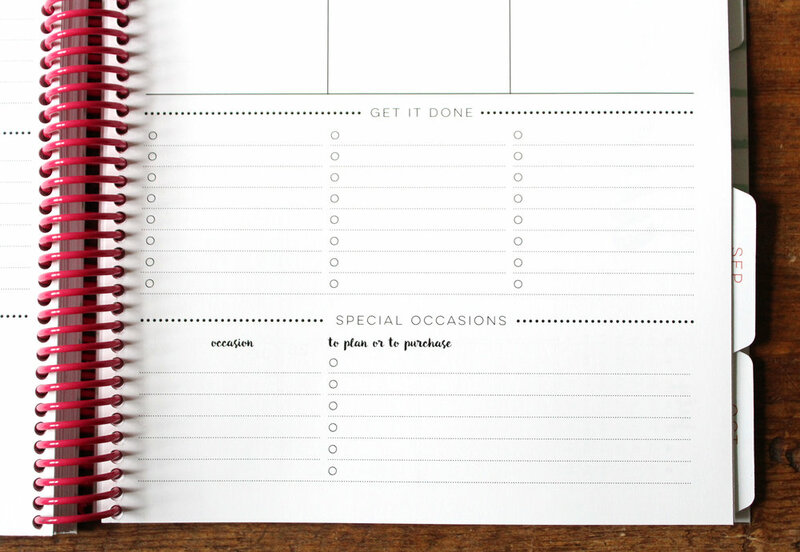 ); a checklist entitled get it done for all of those tasks that need attention; and finally a section for special occasions (this is a great place to list out occasions such as birthdays, weddings, showers, etc. and write what needs to be done for those events such as planning it or purchasing a gift for the event). Swoon. This is surprisingly one of my favorite parts of this agenda. I LOVE this large layout so that I can quickly glance at our family schedule when trying to plan weekend and weeklong events. The size of it leaves ample space for planning and lots of washi tape!! 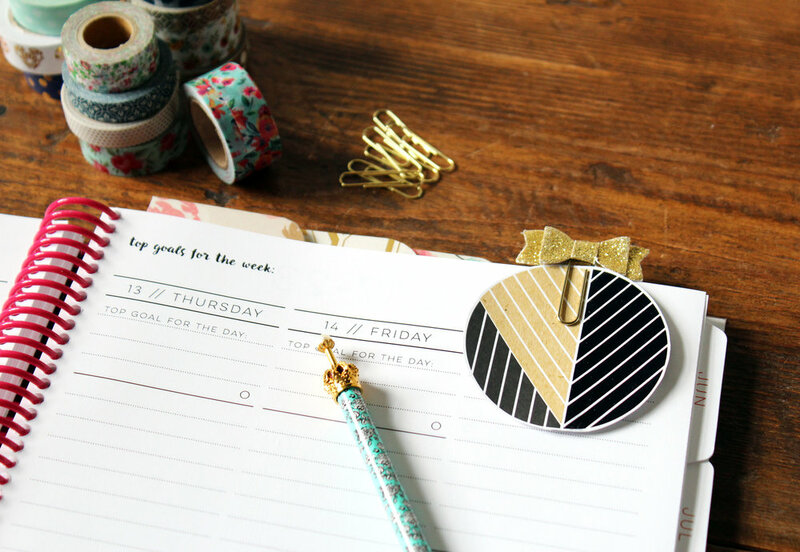 If you haven't experienced the combination of washi tape and planners - get ready to have your mind blown and your agenda beautified. My favorite sources for washi tape are Michaels and Hobby Lobby (gotta take full advantage of those coupons). 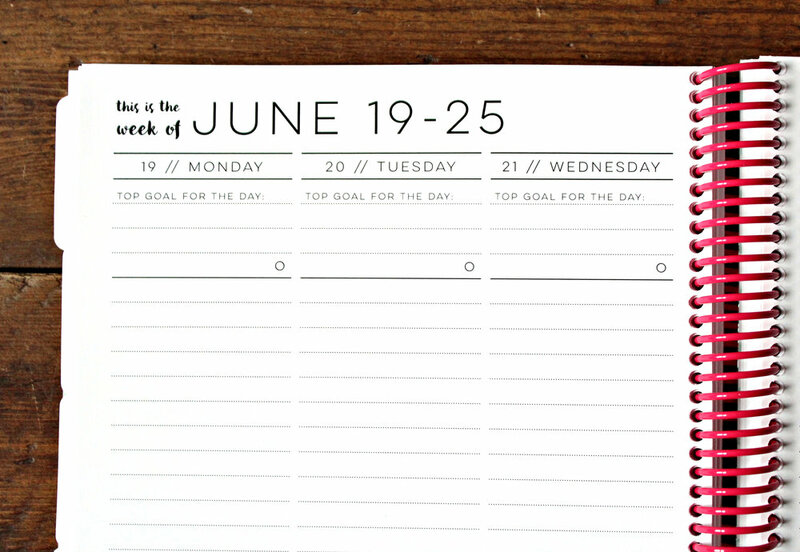 Each day is listed vertically (without hours) featuring a box for you to write in your top goal for the day at the top and checkboxes for exercise and water intake at the bottom of each day. 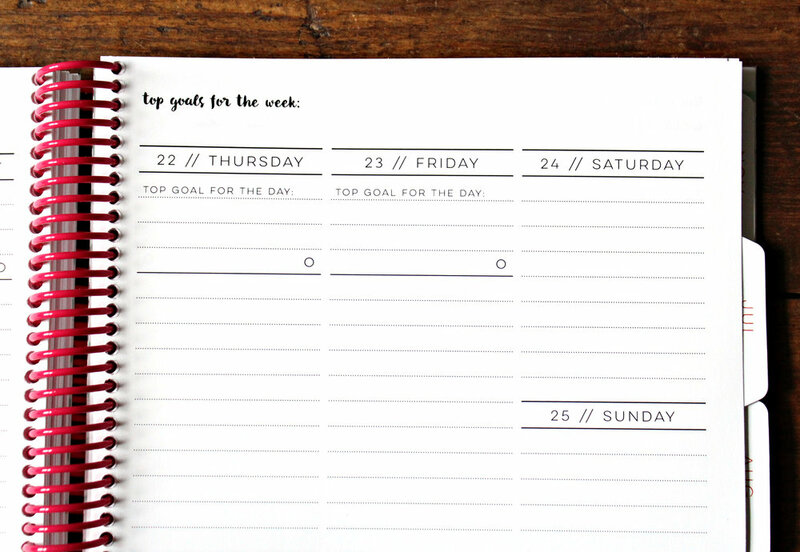 Fill in your top goals for the week at the top of the right side of the page. 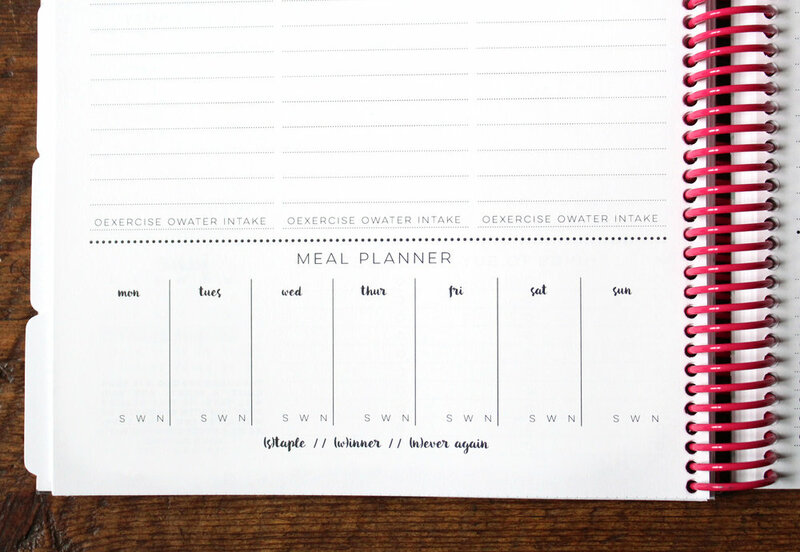 The bottom of the left page includes the meal planner for Monday through Sunday. You'll notice the letters S, W, and N as a place for you to circle your families' preferences on how dinner tasted:(S)taple, (W)inner, (N)ever again... because we all know that some Pinterest recipes win while others may not end up as victorious. On the opposite page, you'll find a two-column checklist for things to buy (you can use this as your grocery list, shopping list, whatever works best for you!) and a one-column checklist for must-do action items. Next to that, you'll see the month's calendar with the current week highlighted as well as theDwell Richly verse for the week. Could you ever get enough of this beauty? I don't think so. 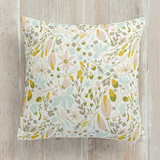 The gorgeous floral and feather illustrations were designed by the oh-so-talented Graphic Box. The front cover is adorned with breathtaking watercolor florals and paired with "2017 agenda" written in a sans serif font and hot pink brush script across the front. The bouquets flow onto the back cover to complete the design. The inside of the covers boast beautifully wild mint green brushed lines (see second photo of post). That about covers it, friends! Let us know which part of the new agenda is your favorite in the comment box below. Feel free to share the love with your friends via Facebook, Instagram and email. Are you ready to order your 2017 Agenda? Even though we're only currently accepting pre-orders, don't fret! We will send out all pre-orders during the third week of October! You can pre-order your 2017 Agenda here. If you are already on the list to receive email updates and notifications, you should have already received a 10% discount code to use on your first Agenda purchase. Be sure to use it! If you didn't receive the email or the discount code, contact us here and we'll get it taken care of ASAP! Not on the email list yet? Subscribe in the box below!